I’ve been given the task (opportunity) to share my knowledge of SEO with two people who are not familiar with the role. I thought about my career and how I ended up in SEO. Perhaps I should recommend the two to read SEO Secrets by Danny Dover or listen to Experts on the Wire by Dan Shure to learn this craft. The truth is, I discovered this skill in my career by working on side website projects. 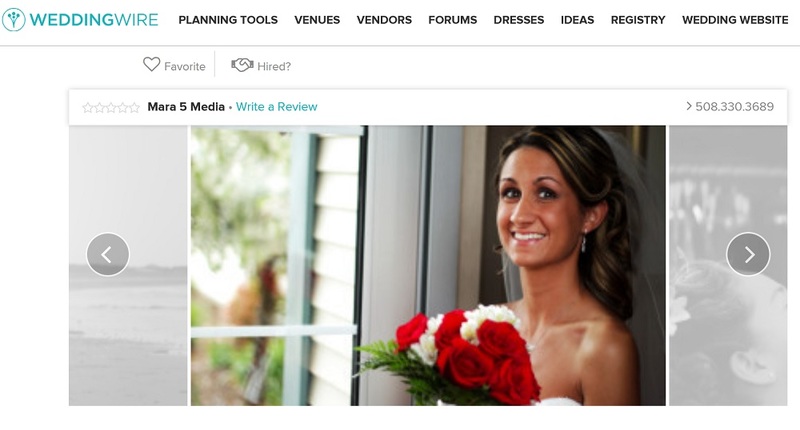 I built a WordPress website to advertise my friend’s wedding photography business in college which began my career in this field. Here are my easy steps on what someone should do who is looking to break into this career path. The first site I built was in WordPress, so I was able to take advantage of a lot of plugins to make the site look great. Still, I had to learn essential parts of websites like the head, body, and footer section and what each meant. Basic terms like title tags, meta name descriptions, ALT tags, and more became part of my build as I built the site out. Even adding Google Analytics tracking code was something new for me, but that type of experience gave me the insight I never had before. As a note, I was unable to find a screenshot of Mara 5 Media using the Way Back Machine, so I am showing an old listing from Wedding Wire. My second side project was for the Knights of Columbus in Westborough, Massachusetts. My brother built the site using Dreamweaver, so I had to use this CMS to work on the site. I took on the task of rebuilding the framework which was incredibly difficult, but extremely rewarding. Learning more about code and how tables worked on a website was new ground for me. Once I was happy with the design, I published the site to the web and began working on the SEO for the site. Seeing each hall rental come through Google Analytics was an extra pat on the back that motivated me to continue and make everything that much better. Whatever side project you work on, you should measure your results with something like Google Analytics. 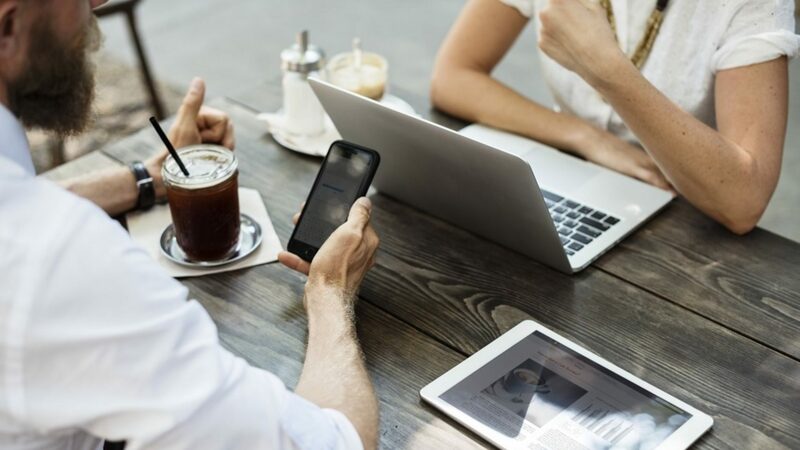 Installing Google Analytics will show the visitors who come to your website, so it is rewarding to see the organic visitors that come to your side project due to your work. As a note, you can block your IP in Google Analytics, so you do not inflate those numbers when you work on the site. Google Search Console with Google Analytics is a winning formula. Vistors coming to your site can let you know if you are growing your traffic, but the terms that people use is invaluable. 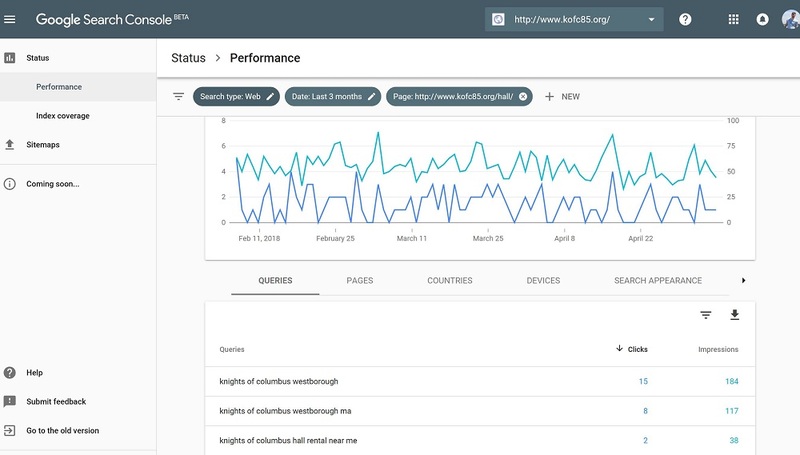 Search Console provides you sampled data of the organic keywords that your site ranks for along with the clicks and impressions it drove to the website. Analyzing sample data is where you start to become an SEO optimizer because you will begin to chase optimizations since they result in traffic and or sales. Using the data from Google Analytics and Search Console, you are ready for fundamental SEO. My suggestion is to look at the terms you rank for that are on page 2 in Google. Page 2 of Google are terms that are in positions 11-20. Optimizing for these terms are what you hear when someone says low hanging fruit in SEO. Low hanging fruit means that you are almost on page 1 for Google without doing much work so that extra effort will result in additional traffic. Let’s say that Google Search Console says that you rank for gardening tips for strawberries on page 2, but you want to improve the rank further. The way that you should go about this is to see what elements can be optimized for Google and Bing to rank you high in their results. Make sure that your Title Tag has this keyword in its place and see if you can add this term as an H1 tag to the page. You should include this term somewhere in the body of the content if it is not there already. Low hanging fruit can mean ranking for your brand name in Google and Bing. When you perform a brand keyword search, you want to get your website to rank at the top. Below was one of the first examples of a ranking success in Google for me. Making changes in the SEO field requires great patience. It’s difficult to make a few optimizations and wait for Google and Bing to update their results. You should have other tasks you are working on while you wait for results to keep your mind fresh. Let’s say a few weeks go by and you are now on page 1 in Google for a target term. You are happy with the results, but you are on the bottom of page one on Google. Here is what I would do next. I would take my learnings that adding the primary term to my title tag, H1 tag, and body helped improve the terms position. You can consider other ways to beef up the content to help Google and Bing know that my piece of content is excellent and deserves high ranks. I can add new elements to the page like a video, images, audio, and more. Creating and owning a website is how I became a search engine optimizer. Unless you have built a site, you will not understand how complicated it is to make web changes. Without improving ranks in the past, you won’t understand the thought process of what has and has not worked to grow the organic channel. The experience of reviewing data, making changes to a website, analyzing the data, and so forth is what SEO is. Having that background experience will allow you to transfer these skills from small to large sites. You should also absorb as much information as you can about this field. Below are the regular sites I follow to stay up to date with Google and Bing. I encourage you to go to as many events as you can in this field too. Today, I am a Boston SEO Consultant where I provide digital marketing services to small and medium sized businesses. If you want to take your learning a step further, I suggest you review how to analyze your log files which will separate you from traditional search experts.